So, what it IS a pointyflute? Well, OUR pointyflute is the highly creative and gifted Terry Streeton! So, what is a pointyflute? Is it a narrow-scaled flute stop? Something like a "Spindle Flute" or a "Spire Flute"? Well, I suppose that it could be, but what exactly is a POINTYFLUTE? Well, if you are regular member of the Concert Hall crowd, or even just a casual visitor here, you'll know that in these realms, a pointyflute is Adelaide, South Australia, Australia's very own Mr. Terry Streeton. I remember when Terry first joined, as the name pointyflute caught my attention. I also recall listening to his first uploads, and thinking that he was very talented and also very "regular" - meaning that he seemed like a nice guy. Now, this was way back in the old days before the Concert Hall became such a lively and interactive place. New uploaders were relatively rare, and it didn't take too long before Terry began to attract a loyal listening audience. I think it was Leviathan Rising that really began to earn him the praise and attention that he deserved. 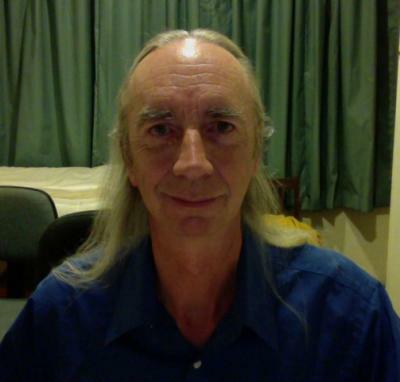 I recently asked Terry if he could share with us something about his background and how he became a musician, a composer of organ music and a champion of Hauptwerk. I think you'll find the details to be an interesting read. My musical background is in piano and theory, which I studied from a young age with my godmother, who was a pianist, organist and violinist. I was a poor pianist: as one honest examiner observed, I was long on facility and short on technique. I did well at theory, though. Later, seduced by the music of Cream, I switched to guitar, and played rock and blues in local bands over a period of years. Again, long on facility, short on technique. When affordable synthesisers appeared on the scene, I procured a Roland. As the years progressed and technology improved, more synths, samplers and recording gear found their way into my studio. I have always preferred writing music and making recordings to actually playing, and have written, both alone and collaboratively, rock, ambient and jazz pieces. In the new century, I felt the urge to realise an old ambition: to compose for the organ. I programmed my trusty Korg 01W to produce organ-related sounds and went for it. It was more musically satisfying than anything I had ever done, while being sonically appalling, due to the limitations of the synth. I dreamt of an organ module, little realising that a programmer in England had a much bigger vision, which would eventually become Hauptwerk. In 2009, my computer died, and, being at the time without spare funds, my composing came to a halt. In 2011, I did a Google search for "organ module," and discovered Hauptwerk. It seemed too good to be true, but it was. 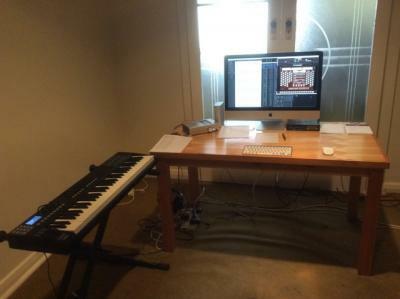 Finally, in mid-2012, I acquired a nice iMac, Hauptwerk and Logic Pro 9. The rest is written in the history of Contrebombarde Concert Hall. I've often been asked how does one come up with musical ideas and turn them into compositions. The truth is, I don't know. I certainly don't do anything clever. I simply sit down at my workstation and something pops into my head, which I then explore and follow to its conclusion, and, hey presto, there's a new piece. CCH tells me I've made 56 uploads. I regret only one of those, and I'm not saying which one. Fortunately, there are some of which I am particularly fond. Dance of the Clavier Knights - because it has a sardonic humour that appeals to me; Jubilation in Eb Major - because it's got a big tune and a Tuba; Leviathan Rising - because it conjures up the sea and its depths; Un Semplice Ritornello - because it has that simplicity that so often eludes me; and, finally, Toccata di Fae - because it's fast and fun. What's next? Cyclone, which I uploaded while writing these notes. I have to say that I deeply appreciate CCH. It gives us all the opportunity to hear organ music from the Renaissance to today, to hear varied interpretations by skillful players and to audition many sample sets. Long may the Hall thrive! Terry - a great friend and someone I admire deeply! They say that a performer should always leave his audience wanting more. In the case of Terry Streeton, he leaves us not only wanting more, but anxiously waiting to see what he'll do next! 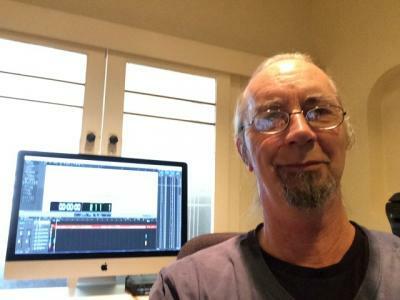 Terry's compositional voice is one that always pleases and inspires the listener. PLEASE NOTE the following 2 paragraphs! (Before I close this article, I also have to mention his organ playing skills. If you've listened to his recordings, particularly the most recent ones, you hear another side of Mr. Streeton. This time we hear a superb and brilliant organist, who is "long on facility AND technique!" Terry told me that he recently got the SP sample set of the Rotterdam Laurenskirk Main Organ, so we can look forward to hearing some new sounds in his upcoming sonic journeys. Oh! I almost forget! What is MY personal favorite Streeton musical essay? Well, there are many, but the one that keeps coming to mind is Nullarbor. I found this one to be absolutely fascinating, with an enormous sense of immersive reality combined with a sense of mystery and fantasy. Not bad for a "poor pianist"! A BIG BRAVO and THANK YOU to my very good friend, Terry Streeton!